BRAINIAC 5 READY NEW ALBUM! 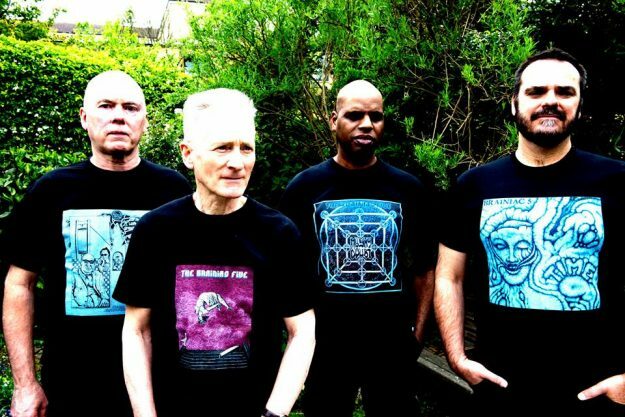 Rejuvenated psych-punks THE BRAINIAC 5 return next month with a new album, just months after the last one. We’re Ready! follows on from the acclaimed Journey To X, which was released in January. It’s the last album to feature original bassist John ‘Woody’ Wood, who’s since been replaced by Wayne Worrell. First coming together in the mid-70s on the Cornish free festival circuit, The Brainiac 5 relocated to London where they joined the post-punk psych scene alongside bands like THE SOFT BOYS, THE BARRACUDAS and INNER CITY UNIT, recording their debut album with HAWKWIND’s Martin Griffin and counting the likes of Alex Chilton and John Peel among their fans. They reformed in 2012. The band’s fourth album, We’re Ready! is set for release through Reckless Records on 29 September, preceded by a special launch show at The Gunners, Blackstock Road, London on Saturday 2 September, where fans will have the opportunity to buy the album ahead of release. They’ll be joined at the gig by THE GREEN RAY, who also issue a new album, Half Sentences, through Reckless on the 29th. Originally formed by Ken Whaley and Richard Treece from legendary freak-rockers HELP YOURSELF, this is their first new album since their deaths in 2013 and 2015 respectively. Watch a trailer for the gig. ‹ KINGS OF THE ‘HILL!